After finishing runner-up in the Brian Green Property Group New Zealand Rally Championship last year driving an old model Subaru Rangiora’s Matt Summerfield has made the off-season move to a new generation car. 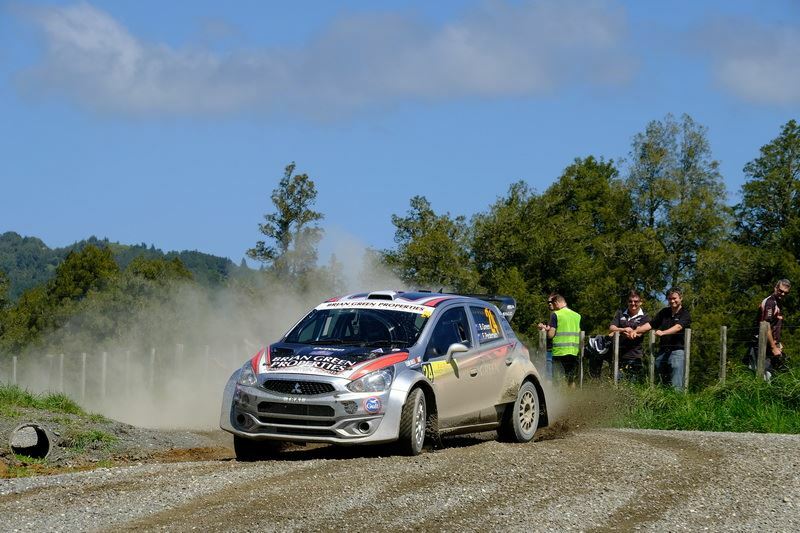 Summerfield, and co-driving sister Nicole, will pilot a Mitsubishi Mirage this season in the six-round championship starting with the season-opening Otago Rally this weekend. “We are run, prepared and owned by Team Ralliart in New Zealand,” Summerfield explains. “We got into the car through Chris Little at Ralliart – he offered us a drive and a bit of a test, then after that we did the Tauranga Clubman’s Rally, which we won and then Ashley Forest Rallysprint a few times and had some good results there. “We have been working away on stringing something together – we were kinda hoping to last year – but I am really happy to be running it this year. The old cars v new cars debate has raged for a couple of seasons with the old cars maxed-out in terms of their development but offer a known quantity while the newer model cars look and sound great but are still being developed towards their full potential. Summerfield hopes he has cut-out that step with the Mitsubishi. The rally begins with a ceremonial start in the Octagon on Friday night before the first of 17 high speed stages start on Saturday morning. The 2018 New Zealand Rally Championship is proudly supported by Brian Green Property Group, Gull New Zealand, Dunlop New Zealand, Hella New Zealand and Stadium Finance.